When it comes to health and safety in the Middle East, it’s worth acknowledging just how far the region has come with its safety standards over the past decade. 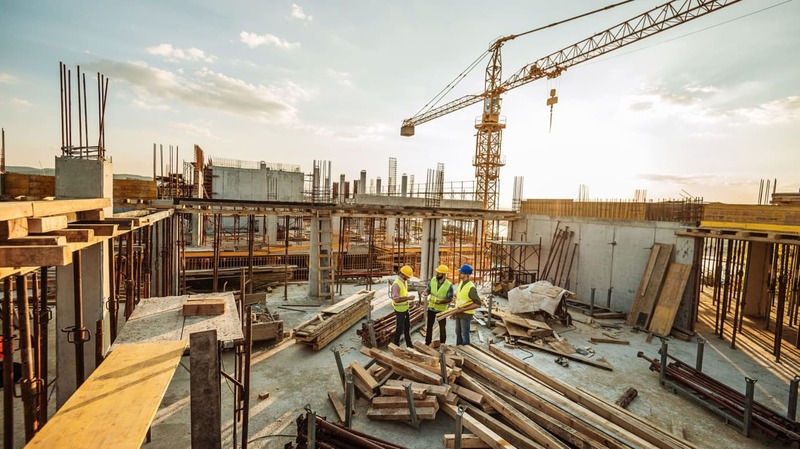 However, one of the most accident-prone environments remains the construction industry, as it results in the accidental injury and death of many workers year on year, particularly when it comes to large-scale projects. A lot of work is still to be done, but this will be the case for regions throughout the world until workplaces are absolutely accident-free. "in the UAE the construction industry is worth over £400billion, so it is unsurprising that the standards have advanced over the years"
With over 250,000 Britons living in the UAE, it is important all safety regulations are understood by all personnel in the workplace. The easiest way to do this is by the use of multi-lingual signs, as we are manufacturers we can print in any provided language, our most popular are our Arabic/English signs. We readily stock all main safety warnings and screen print them inhouse on top quality self-adhesive PVC. In the UAE the construction industry is worth over £400billion, so it is unsurprising that the standards have advanced over the years. The 2009 Code of Construction Safety Practice for Dubai was implemented to help companies with their safety responsibilities from PPE to scaffolding and everything in between. This, along with a variety of additional rules and regulations, shows how seriously the region is taking its health and safety duties moving forward.